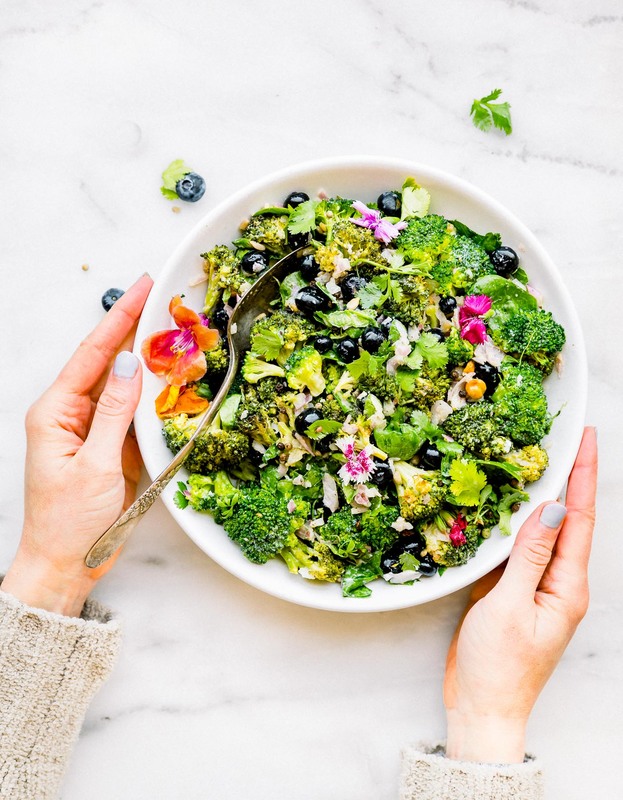 Our FAVORITE mayo free broccoli salad that’s not only delicious, but packed full of nourishing ingredients! 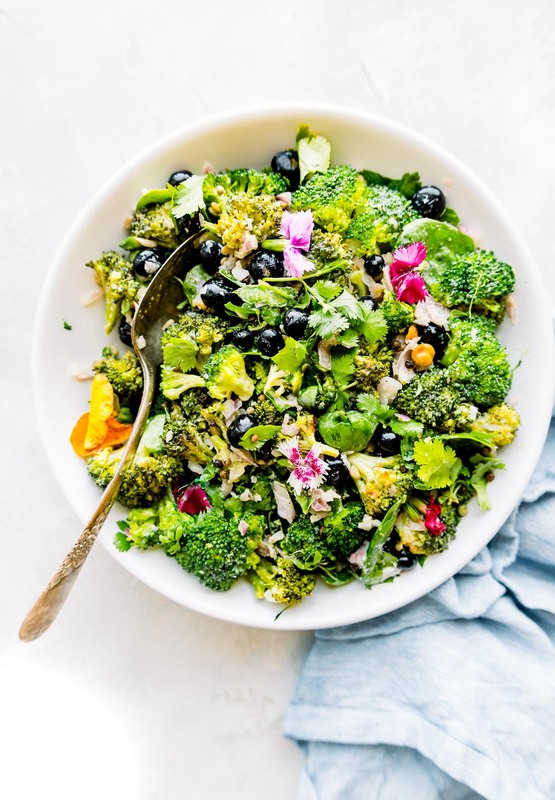 A loaded salad with detoxifying veggies like broccoli, spinach, and blueberries tossed in a light and tangy olive oil yogurt sauce. Detox? Why in the world are we talking about a detox salad in the middle of a holiday weekend. I know, I know it’s like sacrilegious to talk like that. But at the same time, don’t you want to have at this broccoli salad? It’s totally acceptable as a potluck side, but also makes for a tasty leftover “detox” salad. Just don’t tell your friends it’s a detox salad as you place it next to the hot dogs, pies, and mom’s macaroni salad. Mmmmm k? Yeah I know I cringe at the word detox, but in this case we’re talking detox as in detoxing from the oxidative stress. Like say…. an overload of sun, extra cookies (oops), maybe a little too much wine, and do you know anything that might overload the body. 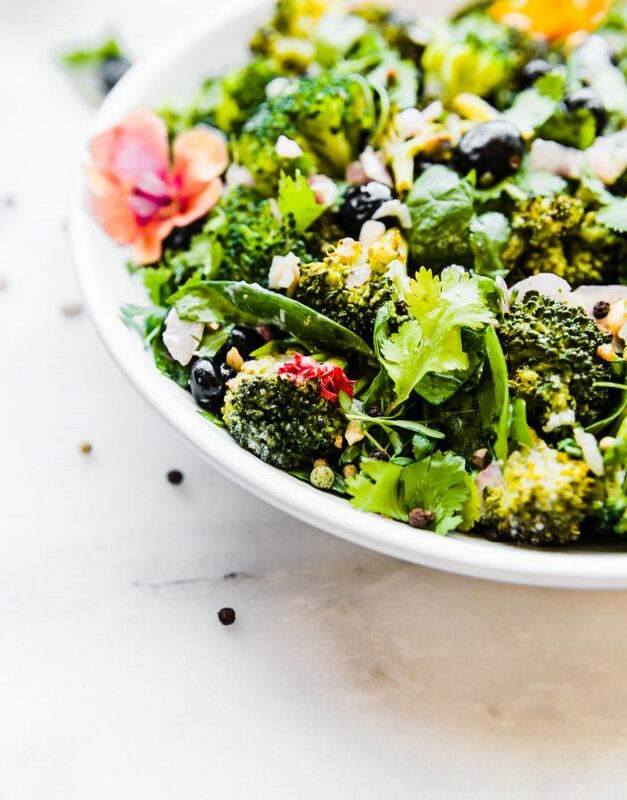 Think of this broccoli salad and the perfect RESET SUPERFOOD salad that boosts your digestion, nutrition, etc. Let’s talk about this whole “detoxify and replenish” thing. You see, this salad is a magical combo that can do just that. Magical superfoods that actually do wonders for your health and taste GOOD! Ahhh BLISS! And I’m not gonna lie, the past few weeks (on top of holiday weekend) we’ve felt a certain mental and emotional stress. Combine that with Low energy, lack of sleep, weird cravings, anxious, etc. Yes, that happens. Life throws us curves balls I’m very much guilty of trying to fix everything at once, but skipping out on my health. Says the nutritionist… eeek! But …. WE ARE HUMAN! And thank goodness for the ability to recognize those things, accept them, and then refocus on what matter most. Friends, family, community, and HEALTH! Health as in immunity boosting probiotics and veggies galore! Probiotics are microorganisms that can help produce GOOD (beneficial) bacteria and support healthy gut flora! This is what keeps our immune systems and digestive systems going strong. There are several good supplements out there, but most people often forget that REAL food has prebiotics and probiotics too. Cultured food such as kimchi, sauerkraut, kefir and kefir yogurt, grass fed cultured yogurt, and kombucha tea are great examples! So you see, detoxifying doesn’t sound so bad now, does it? Haha! So, what’s in this broccoli salad that makes it so special? Probiotic rich kefir yogurt or cultured yogurt – To replace regular commerical mayo. Sunflower seeds – healthy fats to increase vitamin absorption. Lemon and Red Wine Vinegar for a punch of acidity and Vitamin C! Okay and I threw in some extra edible flowers because they are just so pretty. Right? Mayo free broccoli salad that’s not only delicious, but packed full of nourishing ingredients! 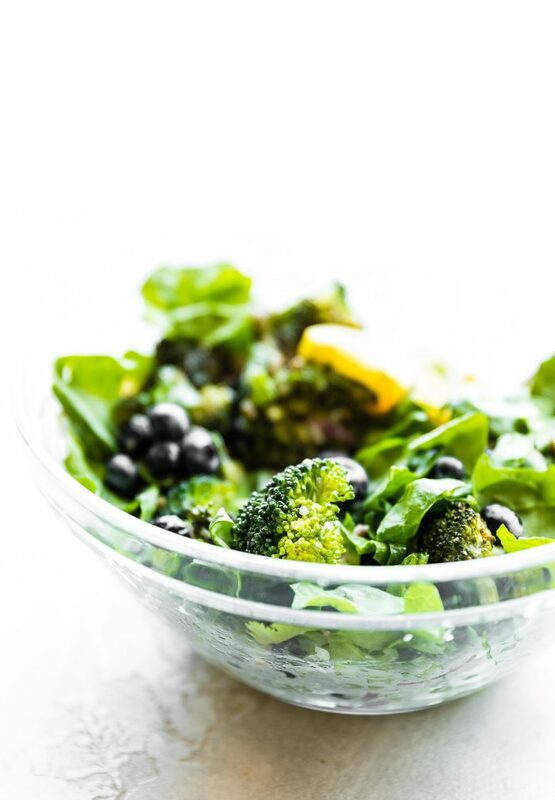 A loaded salad with detoxifying veggies like broccoli, spinach, and blueberries tossed in a light and tangy olive oil yogurt sauce. Toss half the broccoli florets (around 2 cups) in 2-3 tsp oil and seasoning of choice. Place on baking sheet and place in oven to roast for 20-25 minutes. Place the other 1/2 lbs broccoli florets in a large mixing bowl. If you don’t want to roast half, just toss all raw broccoli florets in a large bowl. While broccoli is cooking, make your yogurt sauce (see notes for extra creamy sauce). 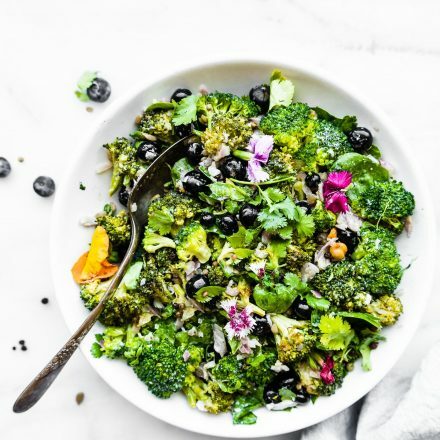 Place roasted broccoli and raw broccoli in one bowl. 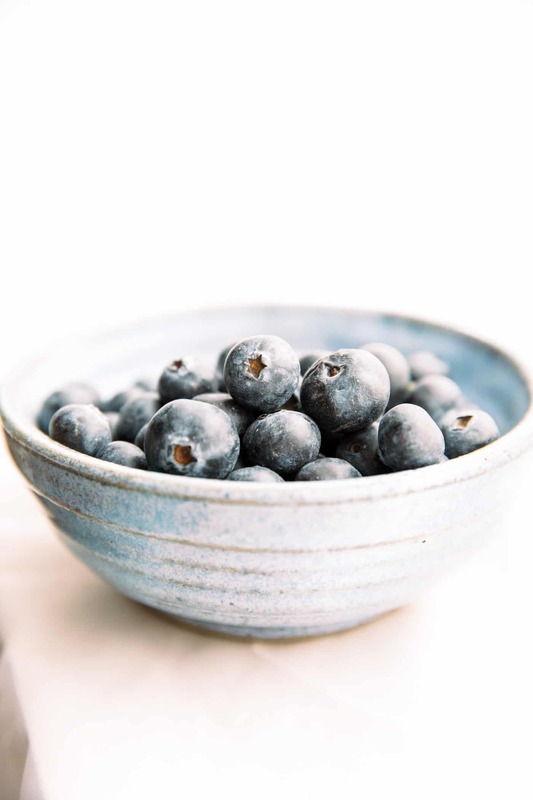 Mix in your blueberries, sunflower seeds, and spinach. Toss all together. Next spoon your yogurt sauce over the broccoli and blueberry spinach salad. Toss all together. Garnish with extra herbs (Cilantro or Parsley), peppercorn or pepper, and a pinch of red pepper if desired. For vegan option, substitute yogurt with non dairy yogurt or hummus. If you want this salad to be extra creamy, feel free to double the yogurt sauce. Vegans, don’t you worry, You can always replace that yogurt with creamy coconut milk yogurt or even hummus! Plant power broccoli salad YO! So there you have it! 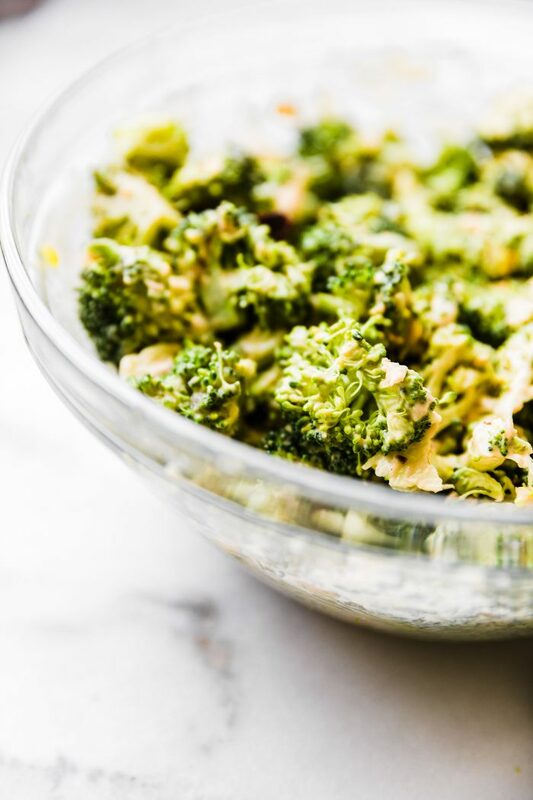 A creamy broccoli salad that makes for a “detoxifying” light lunch, side dish, or snack. It’s even great to make for a potluck dinner. It’s a “clean eating” twist on the classic heavy broccoli salad. This is one that keeps everyone nourished and satisfied! Capeesh? Alright, spill it! What’s one crave worthy food you plan on enjoying this Memorial day? And then what’s one “detox” filled dish you plan on making come Tuesday? Balance, right? Everything you’ve posted lately is just to die for! I’m a pretty new follower and can’t get enough of your bright, fresh flavors and photography. Thanks for the delicious recipes my family of 5 is enjoying! Oh I am so glad Tiff! Keep me posted on what you try or if you have questions! I can’t wait to try this! I don’t like mayo so I’m happy this uses yogurt…and I love the idea of roasting half of the broccoli too! More variety of flavor/texture that way too. Let me know if you try it Brittany! 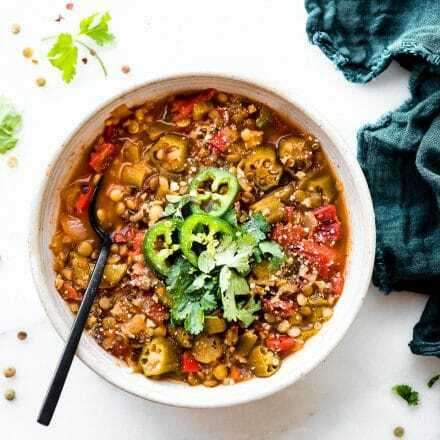 What do you recommend to use for a dairy free option? 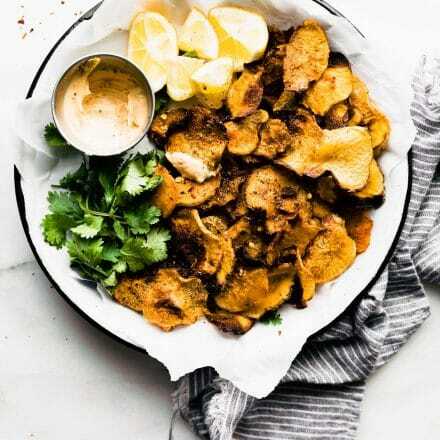 You could try my cashew cream sauce https://www.cottercrunch.com/how-to-make-vegan-cashew-cream-sauce/ , non dairy yogurt, or maybe. Chilled coconut milk/cream.. Keep me posted if you do! Giiiiiiirl, I LOVE broccoli salad, but am super anti mayo, so this is PERFECT! I’m loving all the nutritious ingredients and flavors…definitely a winner for all the summer barbecues and picnics! I don’t believe in detox diets or cleanses, either! 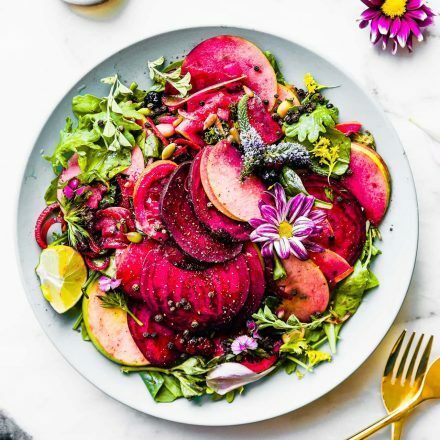 Yes, your body will benefit more from consuming wholesome foods that are rich in micronutrients, but you don’t have to give into the crazy expensive superfoods and meal plans. But anyways, this broccoli salad looks wonderful! Hope you get some well-needed rest after a stressful time period. Your body will thank you! 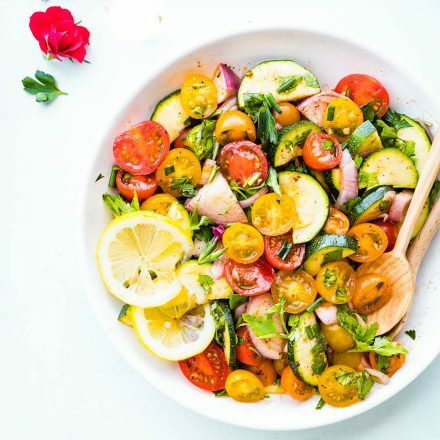 This salad looks so refreshing….I haven’t eaten enough vegetables lately so this is going to end of week menu! I love that this is not drenched in “dressing.” The ingredients really shine through! I made a double batch to eat throughout the week and it is so good. The roasted broccoli is the best part, it’s definitely worth taking the time to do that. Thanks for a great, easy recipe! Awesome! so glad Jen! I love it too! This is great to have in the fridge for lunch! What a great way to get all your veggies in one fell swoop! Superfoods are my love language and you my dear are the matchmaker! Queen of Bowls and everything delish! Great looking recipe sistah! You are my super FOODIE friend. Crushin… LOL! See what I did there? p.s PLEASE, let’s coffee time! This is a superfood beauty! Vegetables are good for my health and my heart so I pay attention to this every day. Thanks for the article! So good! So much flavor! I had most of the ingredients in the veggie garden, I used coconut yoghurt in my version and it was a winner! Works well with the Aussie barbeque season. Made this for lunch today. Yum-O!